If you are looking to dive in the world of vlogging, the camera must have been the first thing pop into your mind. 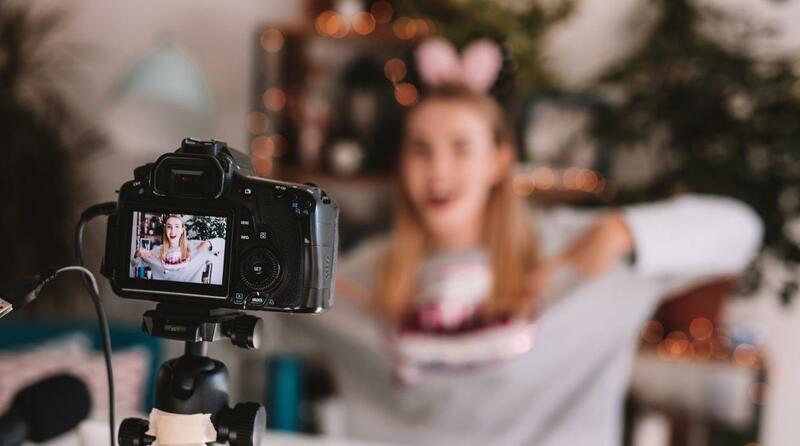 Or if there is any chance that you are holding yourself to go for vlogging as you think the camera cost fortune, then you might need to reconsider. The Internet is flooded with the video content where vloggers are just mushrooming every minute. This also evolved the digital camera market to provide better quality and variety of affordable cost. Definitely, there are lots of brands and models to choose from but with constraint as budget, it gets pretty much narrow. Now all you have to do is chose the best product within that range. For beginners, 200$- 500$ will be a practical budget to start without sacrificing the quality. So, here we brought you the best vlogging camera which you should buy. 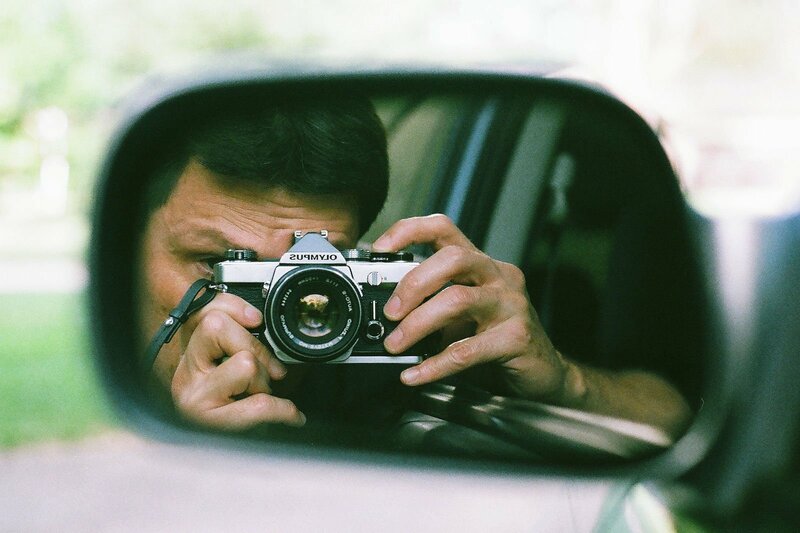 Considering the budget as a primary constraint for your first camera buying experience, here are the five best you can go for. As you are a maiden buyer, one vlogging aspirant must be looking for some camera with an extraordinary balance of price and quality. Hence, Canon PowerShot ELPH 360 HS is the best budget vlogging camera with the best features one could get. The point and shoot camera have a high performance along with a limited shutter lag which you hardly find in such an inexpensive camera. The design and built of the camera is much better than its predecessor. This camera features 20.2 Megapixels with a 12X optical zoom lens. You will get 80-3200 ISO wide range allowing you low light photography. However, you should not expect much conviction in quality at the low light but within the budget, it is best to offer. The camera has quite a basic looking camera but with a solid body and effective design. The basic design of the camera is optimized for simplicity for their users. With 20.2 megapixels, 1/2.3- inch image sensor offers much finer image quality than any inexpensive cameras in competition. The image quality is much sharp, focused and vibrantly coloured. Canon PowerShot ELPH 360 HS doesn’t provide a viewfinder option so 3-inch 461,000 pixels- resolution LCD screen has an important role to play. The Battery life of the camera is average which gives you only 200 shots per charge. There is no separate battery charger provided so you cannot charge it outside the camera. You do get Wi-Fi and NFC connectivity with this model. After Sony DSCW800/B 20.1 MP, Canon comes forward to give you the best cameras as Canon PowerShot A2500 and Canon PowerShot SX610 under 100$ budget. Canon evidently is the best digital camera brand to offer best vlogging camera under 100 dollars budget range. 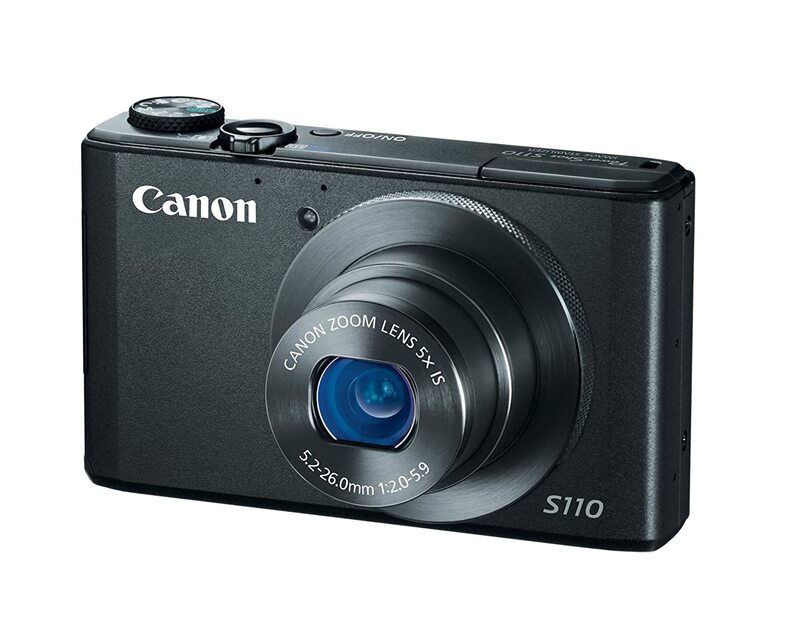 Similarly, Canon also surprises the low and medium budget ranges with another cost-effective product like Canon PowerShot S110. This pocket-sized beast offers a pretty good range of professional features. The camera features 12.1 megapixels 1/1.7 high sensitive CMOS sensor along with 5 X zoom lens. Canon PowerShot S110 gives you the focal range of 24-140mm lens with maximum aperture of f/2.0. It also has DIGIC 5 processor enables fast processing-images with autofocus in 0.2 seconds. For display, it has this 3.0-inch Touchscreen LCD screen with a resolution of 460K dots. As we said, Canon PowerShot let you enjoy some professional-end features like GPS functionality, manual shooting modes, RAW format images, built-in Wi-Fi and maximum ISO of 12800 at full resolution. It is perfect for vlogging due to its 1080p video recording at 24fps, fast auto-focusing and manual settings. Nikon D5300 is the next level vlogging DSLR camera, especially bit advanced comparative to other semi-DSLR, point-and-shoot and digital cameras in this list. If you are looking to spend a bit more, however, it is totally worth on what you are getting. 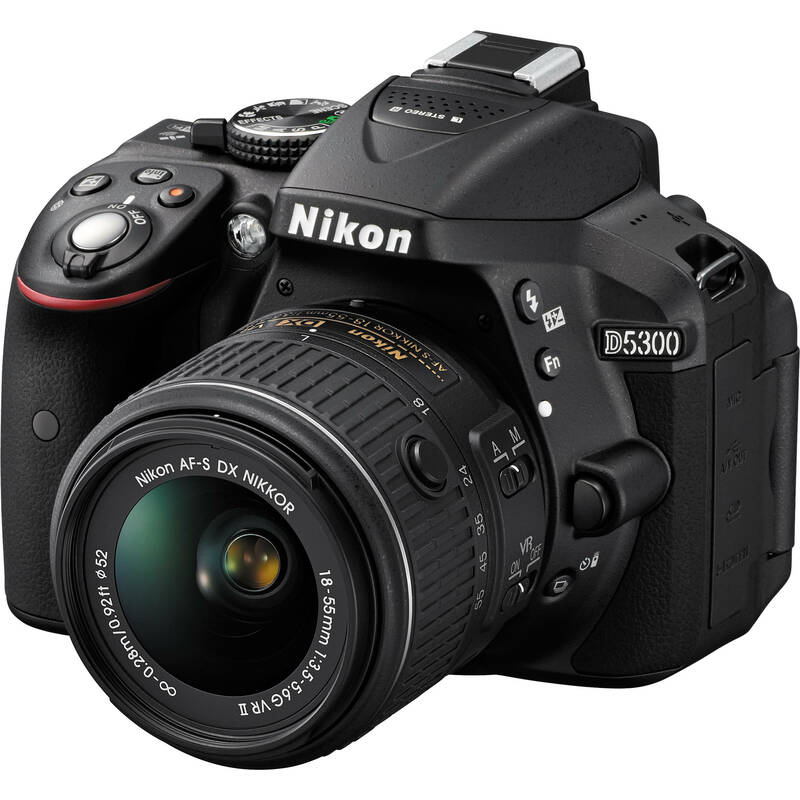 Nikon D5300 is one of the most popular entry level cameras which is dominantly used in photography and videography. If you are someone which might upscale your work to more visually appealing filming, then Nikon D5300 will push your creativity in that very efficiently. The camera is popularly termed as ‘ for Advanced Beginners’ and also if you are using the point-and-shoot or digital camera for bit long time looking for an upgrade, this is a perfect choice. The camera offers 24MP sensors along with articulated LCD rear screen. D5300 is rich in physical diallings and features like auto-focus points, improved battery life compared to its predecessor and more. It shoots a true full-HD that is 1080/60 fps resolutions. You might miss built-in WiFi and GPS like features in the Nikon DSLR camera. The colours, performance and vibrancy are great with picture and video capturing with this camera if asked as layman term. It has also a great low light capability to shoot and capture which is a really additional feature for vlogging in certain circumstances. The flip screen is a great feature for vloggers as you can easily set up your camera and watch yourself in the screen at the same time. Nikon D5300 can take you vlogs to the next level and it is the smartest product to invest in due to the perfect ratio of performance and price. 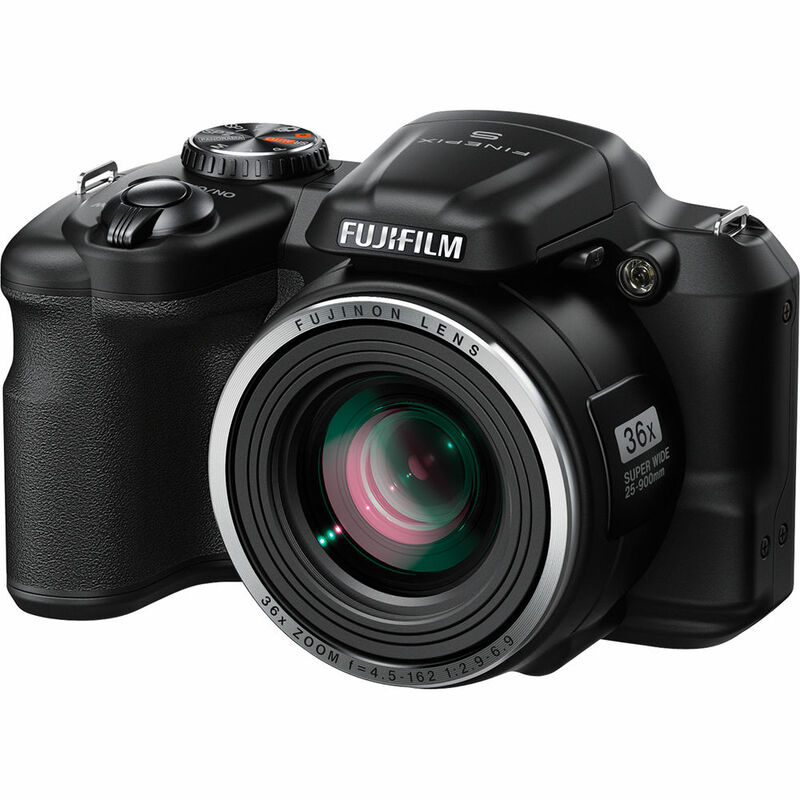 Fujifilm FinePix S8600 gives you the perfect combination of HD video recording, fast autofocus and x36 long zoom. The camera is highly portable. There you get a 16MP sensor with extraordinary picture quality. S8600 comes with the detachable 25-900 mm lens leaving the camera stylish, slim and compact design when removed. The lens you get here is highly versatile and let you achieve the sharp image of ultra-wide landscapes. The kind of range you get with the versatile lens is wide-angle images as well as close-ups with help of super macro mode. Interestingly, you also get the unexpected lens-shift optical image stabilization system preventing the blurry images. Fujifilm S8600 is quite compact, budget-friendly and versatile superzoom camera with 25-900 mm lens which has a lot to offer. The camera has a fast CMOS sensor along with maximum ISO sensitivity of 6400. You get the 3-inch LCD screen on the rear panel to easily frame your subject. Fujifilm S8600 offers great features to the beginner photographers who can enjoy the broader range of advanced photography within the price. There are features like face detection system, fast auto-focus and various scene modes as well. It is one of the best vlogging cameras offered from Fujifilm. 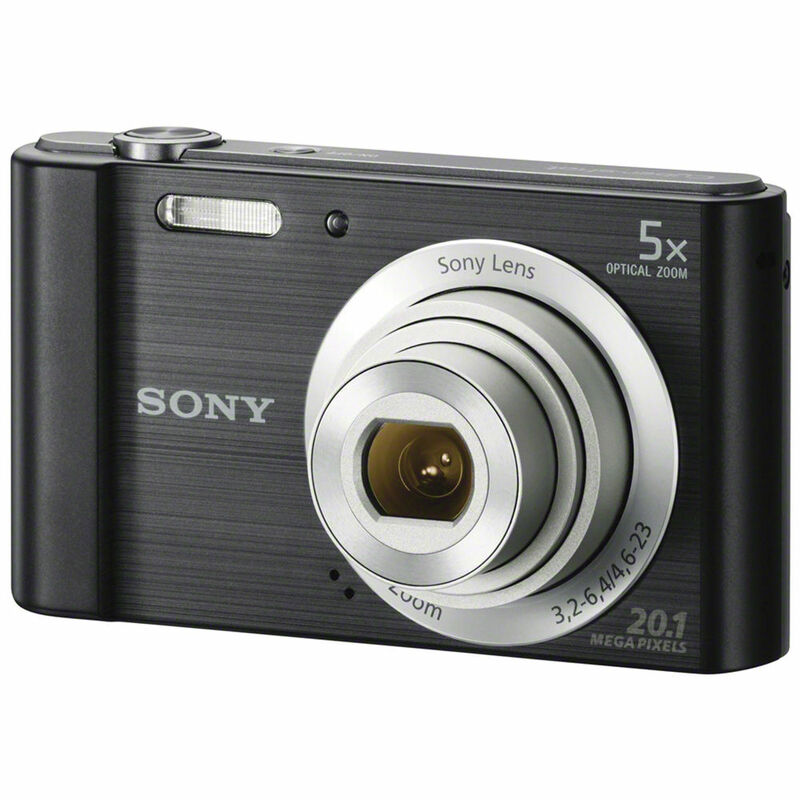 Sony W800 is one of the cheapest digital cameras available in the premium range of Sony products. The camera comes with 20 MP sensors and 5x optical zoom to capture the high-resolution images. With such budget, it might be surprised to get efficiency and abundance of features and specification in a digital camera and that is from top-notch brand Sony. So when you investigate more towards the functioning of the camera, you will not find yourself disappointed at all. The features are quite basic but still very much effective when it comes to vlogging. You will get an intelligent auto-focus system, various shooting modes, scene modes and panoramic shooting option as well. The 5x optical lens gives you the power of a 26mm to 130 mm with 20 MP CCD sensors. This is a discouraging fact about the Sony W800 as it only can record the video with the maximum resolution of 720 p (1280 X 720 pixels). You are also getting the built-in Flash and face detection auto-focus to capture more sharp and bright images even in tough conditions. The camera comes with the screen of 2.7 inch LCD screen with the resolution of 230K dots. For memory, you can use extra memory cards or Sony memory card sticks to extend the storage. The camera weighs 125g which is really lightweight to carry, very portable as well. Sony W800 provides 5cm macro focus letting you have many detailed close-ups. Conclusively, under affordable range, you get these high-end digital cameras with a sharp image capturing capability, better optical zoom, extra features like Wi-Fi connectivity and much more. It is quite surprising that a vlogging setup can be so cheaper if you choose any of these cameras. 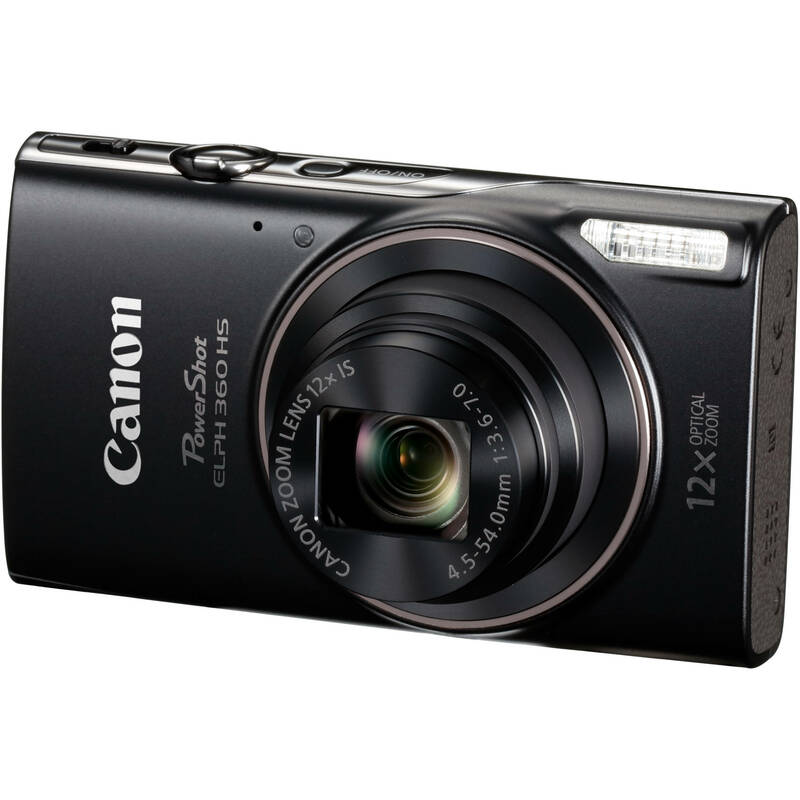 As our best suggestion, Canon PowerShot ELPH 360 is the best vlogging camera to choose. It is the best combination of price, performance, durability, efficiency and features if you compare all these five cameras. Not to forget, the brand itself Canon which assures you the price-for-value credibility with the product. Canon PowerShot ELPH 360 is 20.2 megapixels with 12x optical zoom and 80-3200 ISO promising you the best results in even in the low light situation. You choose any camera among these five according to your need and features required as well.